Yahoo CEO Marissa Mayer has been trying to recruit Katie Jacobs Stanton, Twitter’s head of international markets, to take a major job on the media side of the Silicon Valley Internet giant, according to multiple sources close to the situation. 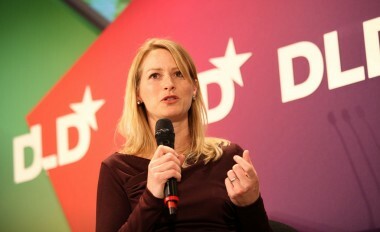 While she holds that globally-focused role at the social communications service, Stanton is an obvious choice for Mayer, who actually was once her boss at Google, including when Stanton was the product management leader in the launch of Google Finance. More importantly for Mayer, Stanton was the key driving force in creating Yahoo Finance, perhaps its most powerful content site, when she worked there from 1999 to 2002. In other words, she knows media. It does not seem likely Stanton will leave Twitter, but it makes a lot of sense that Mayer would try to get her. It’s not clear what job Mayer is offering Stanton, but it is presumably a big one. One source said it could involve running Yahoo’s powerful home page, while another said it might be an even larger role. Ross Levinsohn, the top Yahoo exec who left recently, had been overall head of media and sales for the Americas at the company. When he was named interim CEO of Yahoo earlier this year, he had elevated Mickie Rosen as SVP of media and commerce. Rosen is still in that role now, where she has purview over all Yahoo media and commerce efforts worldwide. But many expect Mayer to soon begin to replace Yahoo’s top exec team with choices of her own. She has already started an overhaul of its communications team, and has been recently focusing on human resources and its product leads, too. But media is a critical unit at Yahoo, and Stanton would easily be on any short list of candidates to fill key jobs there. At the San Francisco-based Twitter, her focus has been on raising its profile abroad, where it has been growing by leaps and bounds. That has often been in high-profile ways, such as its use in the Arab Spring protest and after Japan’s earthquake and tsunami. Stanton came to Twitter from a stint in Washington, D.C., including at the State Department, where she did the laudable mobile donation campaign for Haiti that raised $32 million for victims of the devastating earthquake there. She was also the White House’s first director of citizen participation, and got the Obama administration tweeting via @whitehouse. At Google, she also worked on its Open Social efforts, as well as on launching its interactive discussion tool, Google Moderator. But Yahoo Finance is probably still her biggest hit, and one of the few properties on the site that has remain a huge success, despite the company’s many troubles. Stanton graduated from Rhodes College, and later got a master degree from Columbia University’s School of International and Public Affairs. I have an email into the apparently silent new PR spokeswoman at Yahoo, as well as the much more communicative spokesman at Twitter, and will update if I get a response. In related news, after picking up a midlevel Google product PR person last week to work closely with her on corporate communications, Mayer seems to have grabbed another exec from the search giant. She’s hired a policy manager named Patricia Moll Kriese to become Yahoo’s senior director for corporate projects (whatever that means! ).